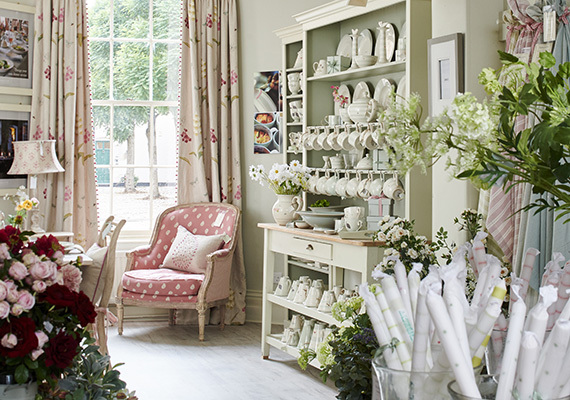 Situated in a vibrant Georgian market town, our Marlow store is home to a wide range of our collections. You will find a selection of our key pieces including our hand-carved furniture, hand-printed fabrics, handmade cushions and hand-painted ceramics. You can also meet our resident Interior Designers to discuss our made-to-measure curtain & blind service as well as our bespoke upholstered furniture. 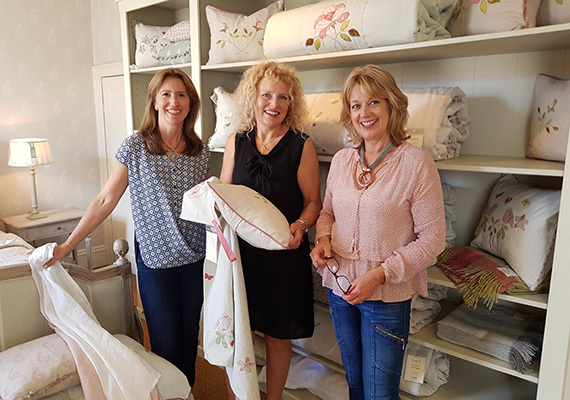 Our resident Interior Designers Sandra, Tara and Karen are here to offer advice and inspiration to create the perfect look for your home. From cushion combinations to a bespoke full interior design service, our designers are on-hand to help you design and decorate your space. To contact Sandra, Tara and Karen, please call 01628 485 757 or email marlow.fabrics@susiewatsondesigns.co.uk. Marlow is without a doubt one of the loveliest locations on the River Thames, set amoungst the rich meadows of the river valley and alongside the woodlands of the Chiltern Hills. 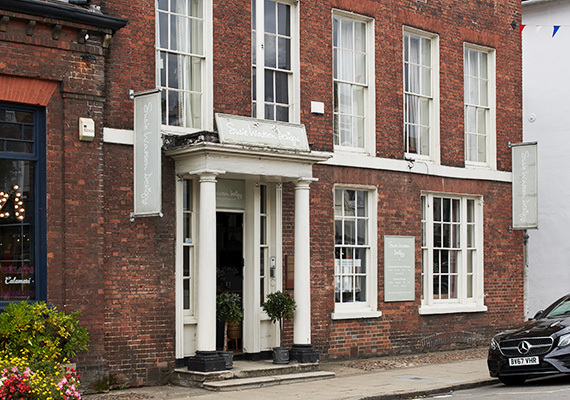 Susie's vision to turn a home into a shop to showcase her range in its natural environment has been realised in this beautiful three storey Grade II Georgian listed building. This grand showroom features a tiled country kitchen, a cosy study, a bathroom with a selection of our hand-painted tiles, a large fabrics room with a consulting area and two large double bedrooms. Parking: is available on Institute Road, a 2 minute walk from the store. Closest Train Station: The nearest train stations is Marlow (MLW), just a 10 minute walk from the store. Dogs: Well behaved dogs are more than welcome in our Marlow showroom. "Just wanted to say how amazing the curtains and blind look, thank you so much! 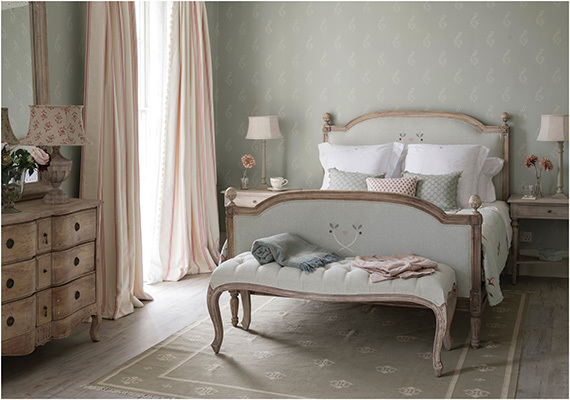 It changes the room, in fact rather than a long wall of curtain it somehow looks more square – brilliant! You have been so helpful throughout the whole process and what a great result! I now can’t wait until I have my new sofas then I'll be back in to buy the finishing touches." "I am extremely grateful for the excellent customer service I received during my visit to your Marlow branch yesterday morning. The sales assistant was very kind and rang your head office to help sort out an issue I was having with my voucher code. To my delight it was all resolved and I was able to go ahead and make my purchase. You are one of my favourite shops in the area as there are always many gorgeous items on display. Thank you again and all the best for the future." "Many thanks to the lovely ladies in Marlow for their help, advice and patience that enabled us to make all the right choices. Oh dear, it's made us want to revamp the whole house now!"